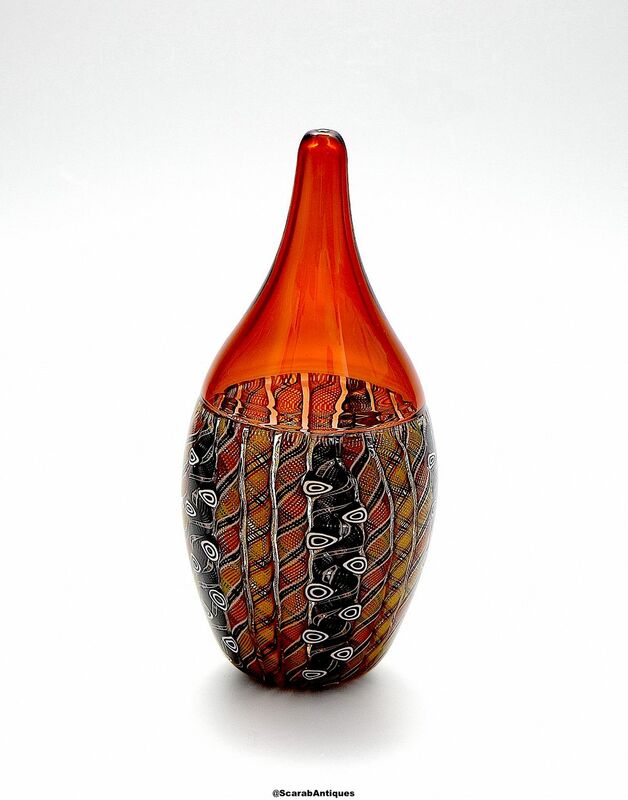 Another lovely vase made by Michael Hunter for Twists Glass in 2018. The base is Weaver pattern comprising a series of zanfirico canes in yellow red black & white, yellow red & black and black & white interspersed with black & white murrines all below an orange incalmo tapering top. The base is scratch signed "M Hunter Twists 18" and has the Twists Glass studio label.